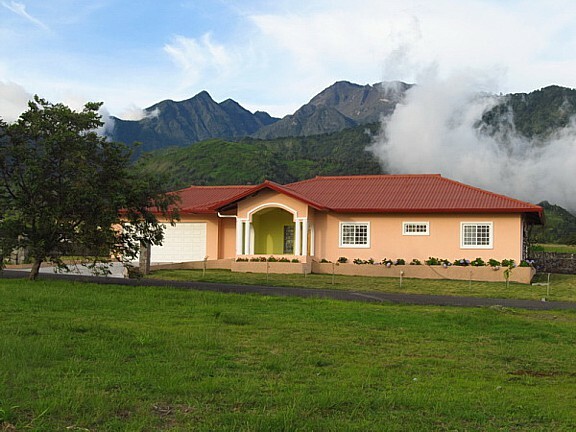 Volcan affordable 3 bedroom home in upscale development. 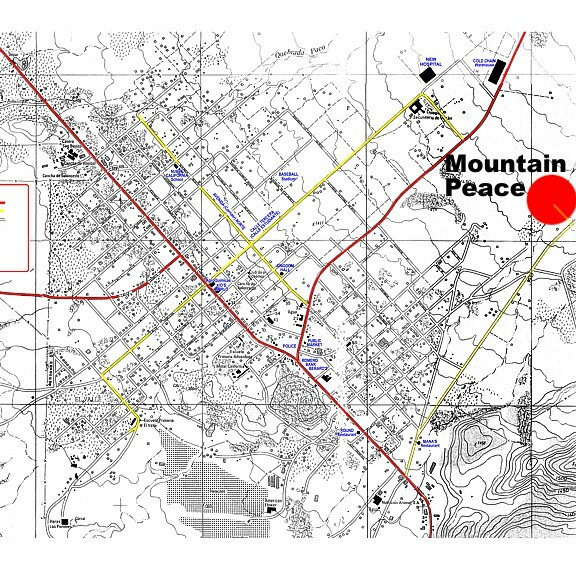 The Mountain Peace development is Volcan’s premiere housing complex. 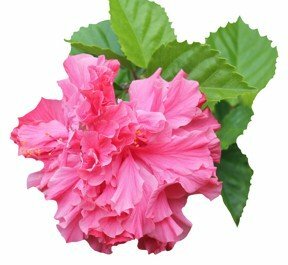 Located in a beautiful park-like setting under the slopes of the mighty Baru Mountain - at 11,400 feet it is Panama’s highest peak. The plateau slopes gently down to the city of Volcan and affords some stunning sunset and early morning vistas. The mountain Peace development contains 7 upscale homes built to North American standards. Unquestionably, it is Volcan’s most prestigious place to live. 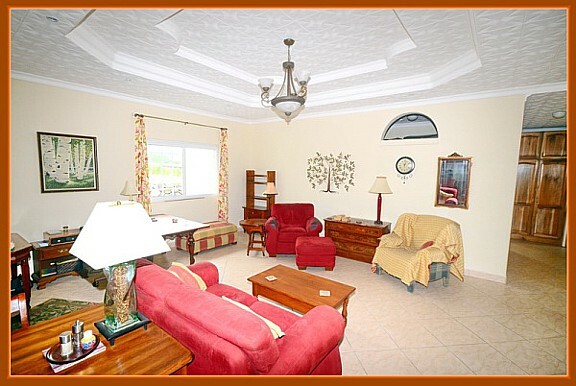 The CASA TRANQUILITY home has 3 bedrooms and 2 bathrooms. It was appraised in July 2014 at $234,000. It has an enclosed space of 251 square meters and the lot size is 1009 square meters. The entrance road is private but does NOT have a gated entrance. The home features a double garage with electric garage door. 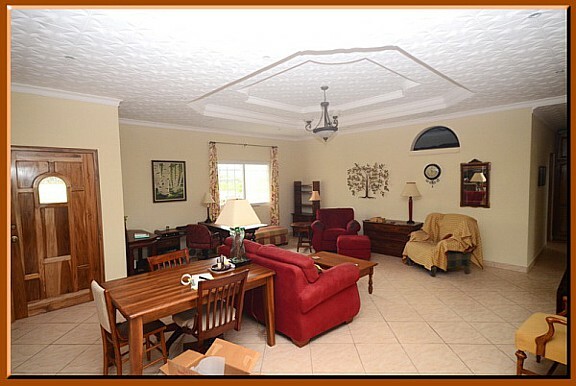 Please note the detail of the “Escayola” style ceilings. 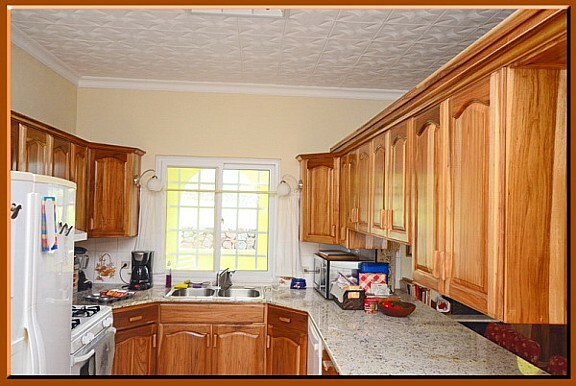 Again, note the detail on the ceilings and the use of local hardwood on all doors, furniture and cabinets. 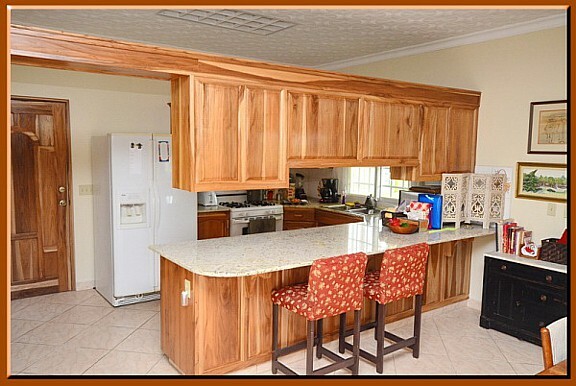 The kitchen features Granite countertops and local hardwood cabinet doors. The appliances include a refrigerator, stove and dishwasher. 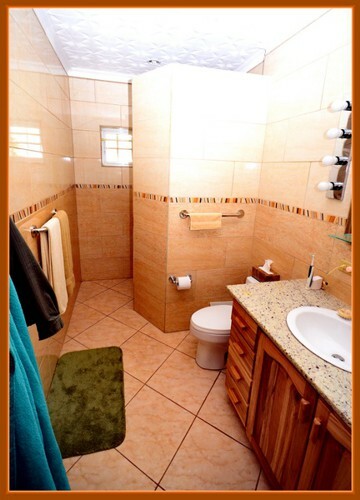 There is ample storage and the home is fitted with the standard Central American security bars. There is complete tiling in the bathrooms. Note that the tiling extends all the way to the ceiling. 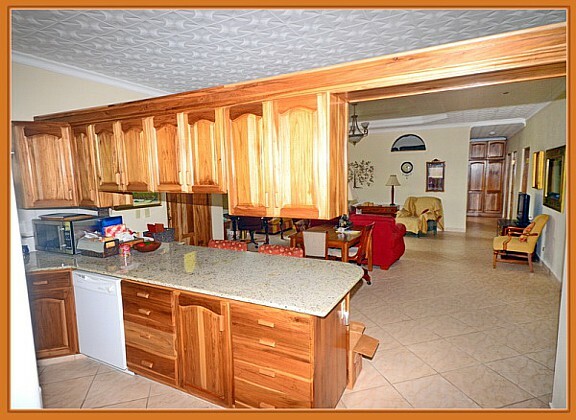 NEW reduced price of: $215,500 USD. It has 251 square meters of enclosed space and a lot size of 1009 meters. 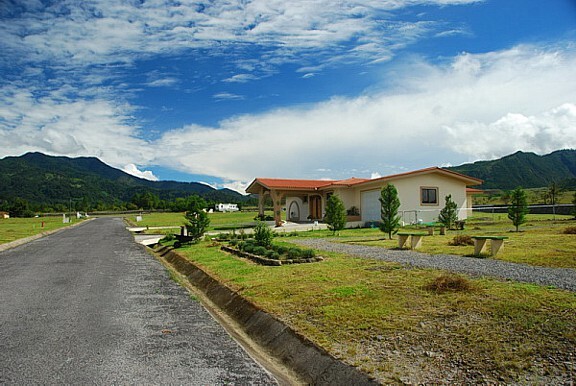 On a private road minutes away from Volcan's finest restaurants and 14 supermarkets. Yes. Every Friday morning most of the expats meet for breakfast at MANA'S RESTAURANT. 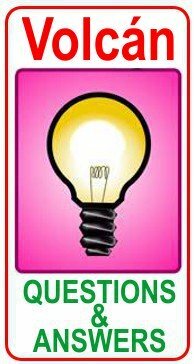 We have ex pat musical "Pub Nights" every Saturday at the WANDERING SLOTH Bar & Grill. CABALLO LOCO SALOON. This is Volcan's newest entertainment spot. Regular music from various artists. A new European style coffee shop will open in mid September.